The BDC-99 is the dust collector for the professional. The Blastrac BDC-99 can be equipped with a Longopac bagging system, big-bag system or dust bin kit which is easy to mount and handle. The Blastrac BDC-99 dust collection system is standard equipped with a M-class cartridge filter or optional H-class filter kit. 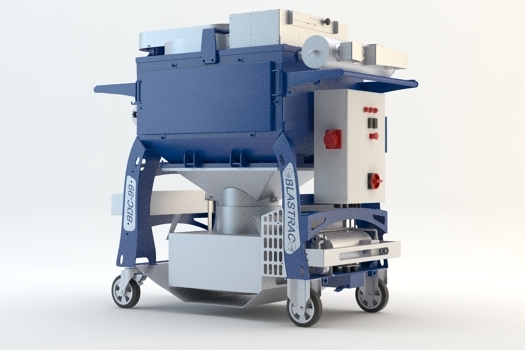 Our range of large dust collectors is especially created to be connected to our large surface preparation machines. Working with large machines means that more dust is created. The high suction power, filter options and large dust bin/bag capacity of these dust collectors make sure that all dust is safely collected. Limited downtime is essential for any successful job. Our large dust collection systems allows you to change the dust bin/bag while the machine is still being used. Fan and compressors are able to be switched on and off separately, this enables more effective cleaning of the filters, without having to run the fan unit.